CARY, N.C. (WTVD) -- Green Hope High School's marching band returned to Cary on Sunday with pride. They competed in a multiday competition against some of the best marching bands in the country. They are returning as national semi-finalists. 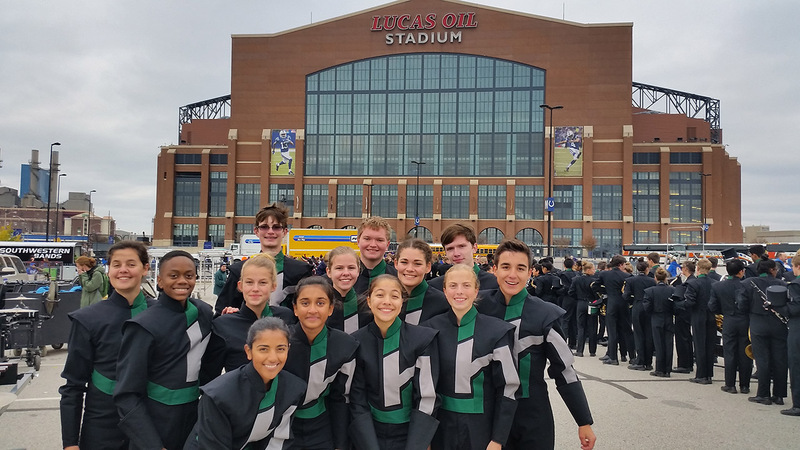 Green Hope's band competed against 95 others in the Bands of America Grand National Championship in Indianapolis. Parents and students greeted the 186 band members with cheers and signs as they stepped off the busses. Green Hope was the only group from North Carolina to make it to the semi-finals.